This is our favourite and most popular ‘Readers Question’ to date, hence we re-bublish it from time to time. I think my wife might be having an affair with one of my tenants. The usual give away signs are all there, lots of “girlie nights out”, which she never used to do, and phone calls where the other person just hangs up when I answer the phone, mainly when I wouldn’t usually be at home. It’s been going on for months and I didn’t put two and two together until recently. When I do 1471 the callers number has been withheld but the other day the callers number was there so I called it back and sure enough it was one of my tenants. He said he must have called my number by accident but soon after that my wife got a text and had to “pop out” because one of her work colleagues had apparently “lost her keys” and couldn’t lock up. I offered to take her but she insisted on going alone as her friend had told her she was having marriage problems so they might go for a drink afterwards for a girlie chat. When she got home she said she was having another night out with the girls on Friday so I decided just to agree. My plan was to stake out my tenants property and she if she would turn up. I remember my wife showing this tenant around the property when it became vacant and raving about how good looking he was. She also did the check in so I’ve never actually met him but I have spoken to him on the phone a few times. Friday came and I decided to get a taxi from work and get dropped off around the corner from my tenants house so my wife had no chance of spotting my car if she did turn up. I decided to climb onto the garage roofs opposite my property, armed with my camera and telescopic lens where I could get a better view and a good shot. I laid on the roof for around an hour in the dark and cold, continually focussing my camera on my rental property so I could get the perfect shot for evidence purposes. Whilst I was up there waiting I zoomed into the roof area and noticed that I have a few tiles missing and the guttering is coming away from the roof. My questions, therefore, is: does anybody know a good roofing contractor in the Croydon area? 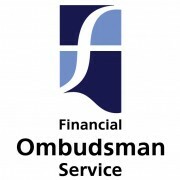 The FOS (Financial Ombudsman Service) have done it again! 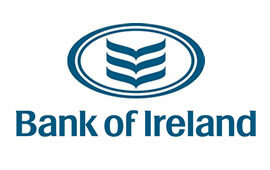 In the past the FOS have controversially agreed that rate hikes applied by Bank of Ireland, Skipton Building Society (Amber Homeloans) and also the Danske Bank (formerly National Irish Bank) were fair. Therefore, is it really that shocking that FOS would also rule in favour of West Bromwich Mortgage Company? Following a judicial review in the case of Millar & anor -v- Financial Services Ombudsman  IEIC Mr Justice Garard Hogan recently ruled that the Irish FOS were wrong in their contractual interpretation in a rate hike case that the Millars brought against Danske Bank [source1]. This supports the Property118 members’ lack of confidence in the UK FoS decision making process, and hence the decision for Property118 to raise funds to enable their members legal team to stand toe to toe on 21st January 2015 with the West Brom legal team at the Commercial Courts in the Rolls Building. Property118 members have raised nearly £500,000 and these funds are set to grow as a result of people who complained to the FOS realising that Property118 were right all along to take a representative action to the Courts. 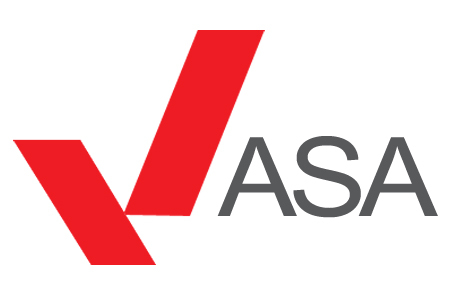 The National Landlords Association initially recommended its members to pursue the FOS route and await the outcome of that before considering legal action. Many of those who followed this advice are enquiring about joining the representative action organised by Property118 as a result of the FOS finding. **West Brom has indicated through its legal team that it will apply the finding of the Court across the board to all affected borrowers**, so all additional support to ensure the right result is achieved is essential. The Property118 representative group are happy to welcome all who have received the FOS rejection letter. The same financial commitments to those who joined prior to the deadline will apply, plus a small price for the administration costs associated with Cotswold Barristers applying to the Courts to have the names of the newly represented participants added to the claim. A new deadline of 19th December has been applied, this will definitely be the final deadline for legal reasons. Newcomers are interested in joining the fight in the full knowledge that sufficient funds have already been raised and that the case will be heard on 21st January 2015. Each member has paid £1,000 into an escrow account held by BARCO (The Bar Council’s Escrow service) plus a further £500 to Property118 and Cotswold Barristers to cover legal costs and associated running and marketing costs of the campaign for each represented mortgage account. Some members have a dozen or more represented mortgages, most have one or two. In the event of the case being won the majority of funds will be returned, plus of course a refund of any over-payments to West Brom and the satisfaction of their terms being upheld as per the borrowers understanding of the tracker rate mortgage contracts they entered into. Every newcomer to the Property118 reduces the financial exposure to the funds already raised on the basis that all costs are shared pro-rata to funds committed. Back in 2009 the CEO of the Skipton Building Society went on record that they would honour an interest rate cap [source2] just one year before that promise was reneged upon [source3]. However, insufficient funds were raised to take the case to court and borrowers have been left high and dry by the FOS and the FCA who decided the rate hike was fair despite the promises made. Perhaps that’s why West Brom borrowers want the certainty of being represented in the Property118 vs West Brom Court case, whilst it is still such a cost effective option? If you are affected, and are not already a member of the Representative Action, please complete the form below for more details on how to get involved. Borrowers representing 84 mortgage accounts affected by the West Bromwich Mortgage Company 1.9% rake hike to their tracker rate mortgage margins attended a secret meeting of paid up campaign members on 27th February 2014. At that meeting it was confirmed that 420 affected mortgages are currently represented by the campaign group. Property118 had previously created a secure forum for paid up members of the group to discuss various legal strategies, one of which was a proposal to West Brom to consider arbitration as an alternative to Court action. Each member had paid £240 for each affected mortgage plus a contribution to a campaign marketing campaign. Arbitration was proposed for tactical legal reasons which were explained by the groups advisers, some details of which must remain confidential for legal reasons. This would have been significantly quicker and cheaper for all concerned and had massive upsides to West Brom in that the outcome would be confidential. In other words, if West Brom had lost the case, nobody would have “officially” known about it other than those who had already paid to be a member of the campaign group. This would have meant the worst case scenario for West Brom would be losing no more than 10% of their reported £19 million of additional annual profits from this rate hike. The attendees of the meeting voted unanimously to proceed immediately with litigation on the basis proposed by (Mark Smith – Barrister-At-Law) as explained below. Thanks were offered to Justin Selig and his team at The Law Department for his sterling work to date in helping us get to this position. Without their help our campaign may never have got this far. Litigation will commence during the week of 31st March 2014 with the service of Court Papers. This provides a final opportunity for any remaining affected borrowers to commit to the action by Friday 28th March. We already have more than double the necessary funds on account to pay our own legal team. Mark Smith has agreed to represent borrowers for a fixed fee of £120 + VAT per affected mortgage subject to there being at least 250 borrowers committed. Further details in his Terms of Business and Instruction letter which can be downloaded by completing the form at the bottom of this page. Existing campaign members are also reminded that they MUST complete and return the instruction form to Mark Smith to act for them and the required additional funds by 28th March 2014. The deadline for submission of instructions has now expired, sorry. The primary concern of existing members that had to be overcome was their potentially unlimited liability to the West Brom’s legal costs in the event of losing the case and the “open cheque book” often associated with legal cases. It was agreed that all fears could be overcome by creating a fund to be held in a BARCO escrow account (BARCO is the Bar Council – the regulators of Barristers). This account will provide evidence to the Courts that we have sufficient funds on account to settle the other sides costs in the event of losing the case and having an adverse costs order awarded against the group. The first step of the legal action will be a costs hearing, as part of a “Case Management Conference”. This is where both sides must submit their costs budgets for the case to the judge and where the judge decides upon reasonableness. If either side fails to do this then the maximum they can claim for costs against the other side is the Court fee, i.e. £175! It is extremely rare for judges to award costs in excess of the agreed costs budget. Our estimate is that based on the number of affected mortgages being represented, and the possibility of more people now wishing to be represented at this stage, the BARCO account could contain as much as double the other sides costs budget. This is why we are so confident about costs not exceeding the amount of funds that will be held in escrow. In the extremely unlikely event of the groups funds being insufficient to meet a potential costs order the group would have an opportunity to withdraw their case and settle the other sides costs to date. If/when we win, the contents of the BARCO account will be rolled over to deal with all of the costs associated with the inevitable appeal case and if/when that is won the funds will be returned to members. If we lose, the contents of the escrow account will be used to pay costs awarded to West Brom and the balance of funds will be returned pro-rata to members. The case will be fought on the basis of a representative action. This means that the ruling of the Courts will only apply to those borrowers who have paid to be represented in the case. There will be no free rides! We fully appreciate that some affected borrowers will not be able to raise the necessary funds in time to be part of this action so there is a Plan B. Affected borrowers who are not represented may have another opportunity to make claims in a few years time. In the meantime they will continue to pay the higher rate and will probably be expected to forfeit any refund of overpayments in return for a no-win-no-fee arrangement. This could be a far more expensive option, hence the reason why so many affected borrowers are so keen to be part of the imminent legal action. The legal strategy and process we are undertaking will be a very simple one. There will be no witnesses called so there will be no surprise twists such as those often seen on TV where a new witness or new evidence appears at the last minute. On this basis, we anticipate the case, including any appeal, to be concluded before Christmas. 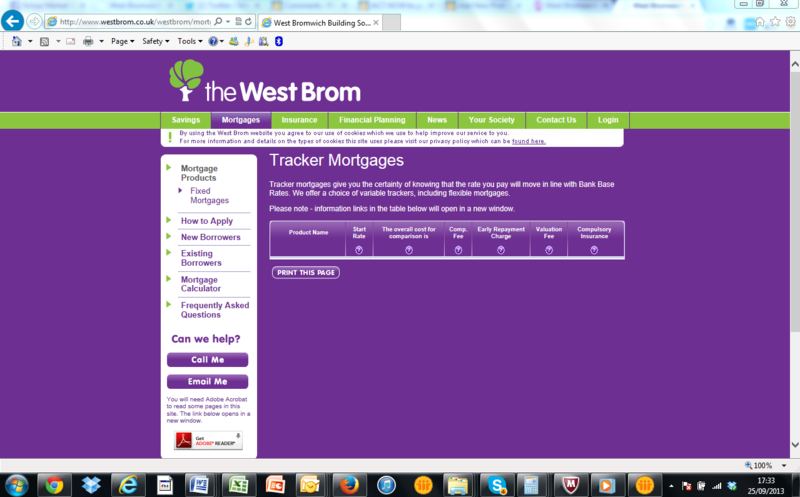 1) Based on the documentation produced by West Brom, do they have the right to increase the tracker margin? 2) Based on the documentation produced by West Brom, do they have the right to call in loans within 28 days without the borrower being in default? There has been lots of discussion about whether West Brom did or did not provide all of the documentation they are now relying upon. This is not relevant to our case. There has also been much discussion about Unfair Terms in Consumer Contract Regulations; again this is not relevant to our case. The agreed level of funds to be deposited into the BARCO account is £1,144 per affected mortgage being represented. For example, somebody wishing to have 10 affected mortgages represented will need to deposit a further £11,440 into the BARCO account. Existing members will receive a refund of unused funds which they paid into the client account of The Law Department. New members will need to pay an additional premium of £356 per mortgage to the Property118 marketing fund to equalise the financial contributions and efforts of the forerunners of the group. Remember, if/when we win you will get more than this amount back when you also factor in 100% of the extra 1.9% interest you have been paying which will also be refunded. The worst case scenario is that you will get none of this money back if we lose. If you can live with that you should proceed. The reason we have chosen this strategy as opposed to buying ATE insurance is that it costs us much less if we win. We are in this to win this. The above strategy means that we all know what we stand to lose and can proceed with our eyes wide open, confident that our liabilities are limited. If the balance of the BARCO account associated with this action is less than £250,000 by close of business on Friday 28th March 2014 the legal action case will be aborted, funds will be returned to members within 14 days and that will be the end of the line for this campaign for myself and Property118 – at least for 12 months or more anyway. 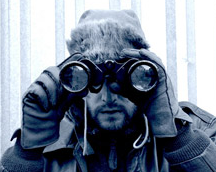 If necessary we will then take another look at Plan B. The Bank of Ireland Tracker Rate Legal Campaign began in March 2013. 100 affected BoI borrowers each paid £150 plus VAT into an initial legal fees fighting fund and instructed Justin Selig of The Law Department to obtain Counsels opinion on the merits of our case. Consensus of legal opinions was that regulators should fight the case on several bases including Unfair Terms in Consumer Contract Regulations. Detailed complaint letters were prepared by The Law Department with assistance of Counsel and submitted to the OFT, FOS and the FCA. The OFT immediately passed their case over to the FCA. The FCA sought our permission to send our complaint to the Bank of Ireland on the understanding that we would be copied into their response. 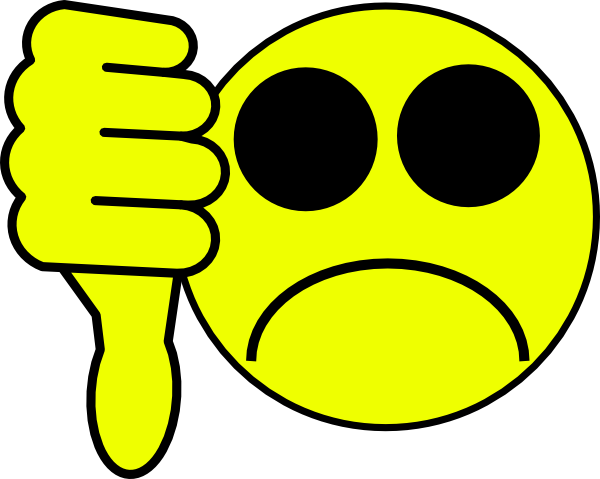 BoI employed a QC to respond to the FCA and our legal team duly received a copy which was “wishy washy” to say the least. Nevertheless, the FCA felt they had concluded their duties and didn’t consider our case any further. The FOS are still prevaricating after 10 months! The complexities of the case lead us to believe, at the time, that it was unlikely that we would be able to raise sufficient funds to progress to Court. Therefore, fundraising was suspended whilst we re-grouped to consider our options. Nevertheless, the PR battle has progressed well on the back of a very similar case affecting borrowers of the West Brom Mortgage Company. A few hundred additional borrowers have completed an “Expression of Interest” form in respect of taking legal action against the Bank of Ireland since the fundraising was suspended. These people have paid nothing. Those members who paid fees into the legal action fund have been briefed on considerable work undertaken by The Law Department, Counsel and even a QC, all of which have been working without payment since fundraising was suspended. Given the success of the fundraising for legal action against the West Brom Mortgage Company and the advice and strategies agreed between the enhanced legal team we are now far more confident that funds will be raised and that privately funded litigation will be successful. To obtain a copy of the briefing which was sent to clients who instructed The Law Department, so that you can make a decision of whether to be a party to ongoing legal action, will require you to instruct The Law Department and make an initial payment of £150 plus VAT (i.e. £180 in total). Sort Code: 12 24 82. If available, a copy of any terms and conditions and other literature you have obtained in connection with your mortgage. This includes and marketing literature. On receipt of the above you will receive further details of advice and strategies. You will then be given the option of whether to commit to litigation or not. This will require 150 people to each pay an additional £500 into The Law Department client account as a gesture of commitment and for each affected borrower to agree to a further potential liability of £1,000 if/when litigation commences. If the number of instructions is greater than 150 then the liability will fall pro-rata, for example, if there are 300 instructions the additional potential liability will halve. If legal action is aborted funds paid will be refunded less costs shared pro-rata. Our legal team are confident of a positive outcome if sufficient funds can be raised/pledged to commit to further legal action. Members who agree to proceed to litigation on the above terms will be granted access to a highly secure internet forum. The forum operates on the same technology as electronic banking, is hidden from search engines and has several additional layers of security. The purpose of this forum will be to share confidential, commercially sensitive and legally privileged strategies and for members to ask questions, either via private messages or via the secure forum where Q&A’s are likely to be of interest to all members. The private messaging service will also enable members to communicate in confidence, and securely, between themselves, e.g. to swap telephone numbers. The success of our campaigns are highly dependent upon quality marketing including PR and meeting with centres of influence. Property118 operates a “not for profit” business model and is, therefore, totally reliant of donations to fund marketing and other activities such as the creation and ongoing hosting our the above mentioned secure forum. Whether you are immediately affected by a tracker rate hike or not, it is in your interests to support the Property118 marketing fund to raise awareness of important issues which could affect all landlords and to discourage lenders which YOU have tracker rate mortgages with from hiking your tracker rate margins. For further details please CLICK HERE. The campaigns organised by members of Property118 against hikes to tracker rate mortgage margins moved up a gear yesterday when I was invited to meet with David Morris MP and his aide Andre Walker at The Houses of Parliament. I spent 90 minutes with them in total. I also managed to get a very quick 5 minute meeting in between parliamentary debates with Jason McCartney MP (Colne Valley) who has been very supportive of our campaign in terms of meeting his locally affected constituents and lobbying fellow MPs. 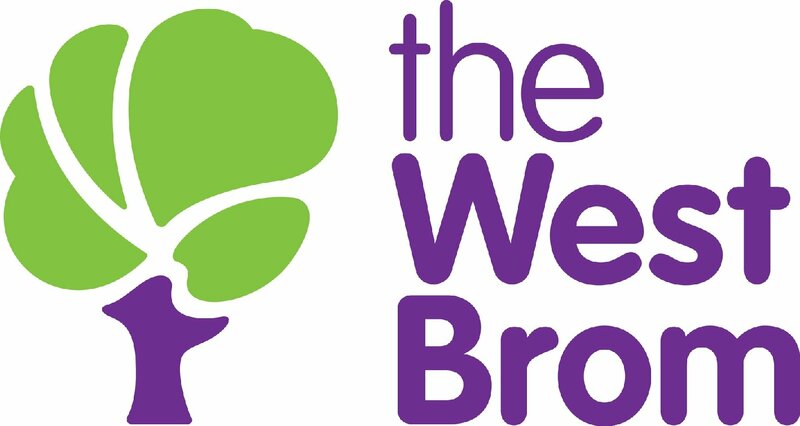 Over 20 MPs have expressed concerns and support for their constituents affected by the actions of West Brom Building Society and Bank of Ireland. 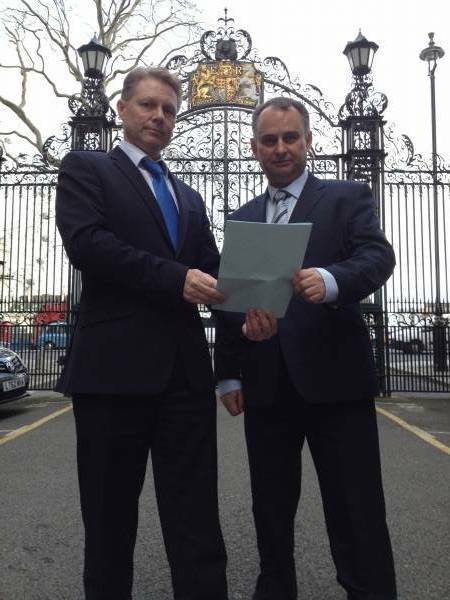 A debate in the House of Commons has already been applied for by two MPs. Campaigners have been lobbying their MPs over the last few months and much support has been pledged. Many of the MPs wrote to John Westhoff, CEO of the West Brom, but all were fobbed off by similar letters claiming that their rate hikes were legal and necessary to subsidise other areas of there business which have performed badly in recent years. Senior banking barristers and an eminent banking QC have poured over the Terms and Conditions and believe what these lenders are doing to increase their profits is an illegal breach of contracts. In both cases the terms of the mortgage offer letters contractually and legally take precedent over conditions specified in the lenders mortgage conditions booklets which are generic to fixed, standard variable and tracker rate mortgages. It is terms in the more generic booklet that West Brom and Bank of Ireland are ‘hanging their hat on’ in respect of their hikes to the margins being charged to their borrowers over the Bank of England base rate. 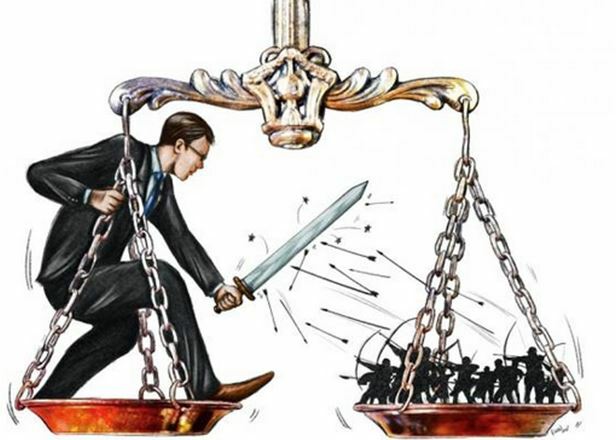 Campaigners feel that the mortgage lenders are attempting to use their financial muscle and the disincentive in respect of huge costs to litigate to evade justice but the strategy of these lenders does not appear to be working. To date, over £100,000 has been raised and lodged with Solicitor Justin Selig which is enough to commence legal action. More will be required to fight a case at appeal which is highly likely as a strategy from the lenders if/when the campaigners win the first round of litigation in the lower Courts. With this in mind, alternative strategies to litigation are being considered to settle the argument out of court in the short term because the MPs cannot progress matters once the judiciary are involved. As fortune would have it, whilst I was at the meeting David Morris MP was invited to submit a question to Chancellor George Osbourne on Tuesday 28th. Mr Morris seized the opportunity and immediately submitted a question relating to the conduct of mortgage lenders. We should find out later this week whether it is approved. As if that wasn’t enough from my first visit, I was also introduced to several other MPs between debates. These were only quick introductions but many of them are aware of the campaign due to the excellent lobbying of Property118 members. The icing on the cake was helping to draft an EDM “Early Day Motion”, which has now been submitted by David Morris MP, which will be publicly available and no doubt of much interest to the press. The more MPs that sign up to support this EDM the more likely it is for the debate to take place and for the motion to be passed. We also prepared a very short briefing note to be distributed to other MPs showing an interest. There is a LOT more to be done on our side too. I need all campaign members, whether directly affected or not, to contact your MP again and to ask them to add their support to Early Day Motion number 976. I strongly recommend following up any electronic correspondence with a telephone call because MPs are bombarded with thousands of emails every day and they can very easily be overlooked. As one of your constituents I am asking you please to add your support to Early Day Motion number 976 as submitted by David Morris MP. Below is the content of the EDM and some background notes for you to consider. Given the importance of this matter I would also request you to apply for a debate. If a telephone call or meeting would help, either with me or the campaign organiser please let me know. That this house condemns mortgage lenders breaching tracker rate mortgage contracts by unilaterally increasing the margin they charge over the Bank of England base rate in order to increase their profit margins and deliberately targeting borrowers where consumer protection law is ambiguous; and calls on the Government to investigate alleged associated recent activities of the Bank of Ireland and West Bromwich Building Society. Alleged examples of deliberate misuse of ambiguous consumer protection laws include …. 6,700 West Brom Building Society mortgage accounts whereby landlords with 3 or more properties have been targeted – there is no case law to define what would constitute a consumer landlord although there is case law to acknowledge that landlords can be consumers. Therefore, Unfair Consumer Contract Terms legislation may or may not apply and it would appear that the WBBS are relying on affected borrowers not being able to raise sufficient funds to challenge this or litigate other points of contract law. All comments via the main forums please. I expect to be called to London to provide further briefings to both MPs and and the media and intend to use the campaign marketing fund to pay for my travel expenses, wining and dining key contacts and loss of *fee-earning time from other consultancy work, (*capped at a maximum of £500 per day). We need to top this fund up and I am highly reliant on your generosity for this as the people I will be meeting will not be too impressed if the lunch budget only extends to a McDonalds or a Subway! Please donate HERE. If you haven’t already signed up please complete the form below. My buy to let property portfolio is within three miles of my main residence but I would venture further out. My main concern is that I won’t know other areas as well. In the past I’ve looked at Rightmove to understand how much properties can be rented for and how many have been let recently. Also, whether its close to a mainline station, town centre and access to motorways for commuters. With living in the south, places are more expensive and therefore require a bigger deposit. What are the key things other landlords/investors research when identifying new opportunities with limited knowledge on location? 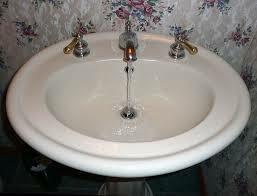 Is it a legal requirement that every bedroom in a licensable HMO has to have a wash hand basin? I have been jumping through hoops for a year to try and get a licence on a three storey 6-bed HMO. I had a letter from the council in 2011 saying that as I had three bathrooms and two separate WCs, all with wash hand basins, I didn’t have to put basins in the bedrooms, but would have to when I re-licensed in five years time. I have now been given a draft of a licence to check which requires me to put basins in within two months. My tenants have paid 6 month rent in advance ( as they did in the previous 6 months with no problems) due to them being students. The Letting Agent is dragging its feet and will not release the 6 months rent to my bank account stating the tenants have to sign a form allowing this to happen. Previously there was no mention of the tenants having to sign a form. Tenants have been in my property since 18th October and I have not received any rent payment, I have had many conversations with staff at my letting agents and they keep fobbing me off. I am unsure as to what to do next, what would you do?